Brick beauty in need of some tlc. This house has four bedrooms, three baths, one car carport, screen patio, granite countertops, fireplace, and a nice size backyard. Make your appointment today!Home sold as-is without any guarantee or warranty by seller. Equal Housing Opportunity. I-295 to Normandy blvd. turn left onto Normandy. left onto fouraker rd. right onto DELAROCHE. Home will be on your left. 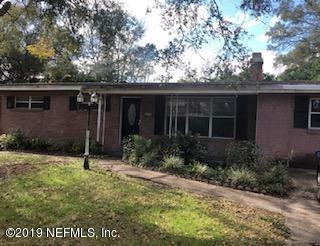 2004 Delaroche Dr is a 1,482 (*estimated) square foot home with 4 bedrooms and 3 bathrooms located in Jacksonville FL, DUVAL County. This property is listed for sale at $80,000 and is currently active and accepting offers.